Langtang is particularly full of lush green forests, thick vegetation and a number of beautiful waterfalls. With plenty of stopovers, this trek provides good photography opportunities. Waterfalls that soothe the mind, forests laden with moss and greenery, rivers gushing down through rocks and boulders – these are some of the experiences you can expect from the trek. Langtang is also a place of diverse wildlife, so it is quite possible to encounter wild animals (especially the Red Panda) on the tour – just make sure that you keep out of the way – do not reach out to them or try to offer them food if you happen to encounter wild animals. 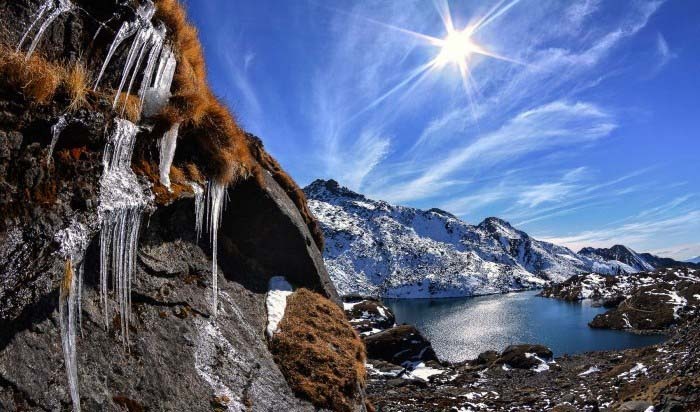 Gosainkunda, along with several other “kundas” form a system of lakes within Langtang National Park. A “kunda” is a lake (or a very large, oversized pond) – and Gosaikunda has been the destination for thousands of pilgrims who go dip in its water every year from all over Nepal and India. Stories have it that there was a huge primordial battle between gods and demons who wanted to drink from these immortal waters first. If you happen to travel the route in July-August, you will definitely encounter files and files of people walking towards Lake Gosainkunda. In this program first you drive from Kathmandu to Syabrubesi, a quiet Tamang village at the north of Kathmandu. Further along, we get to Kyanjing Gumba (or Kyangjin Gompa as it is sometimes called) and stay for a night. 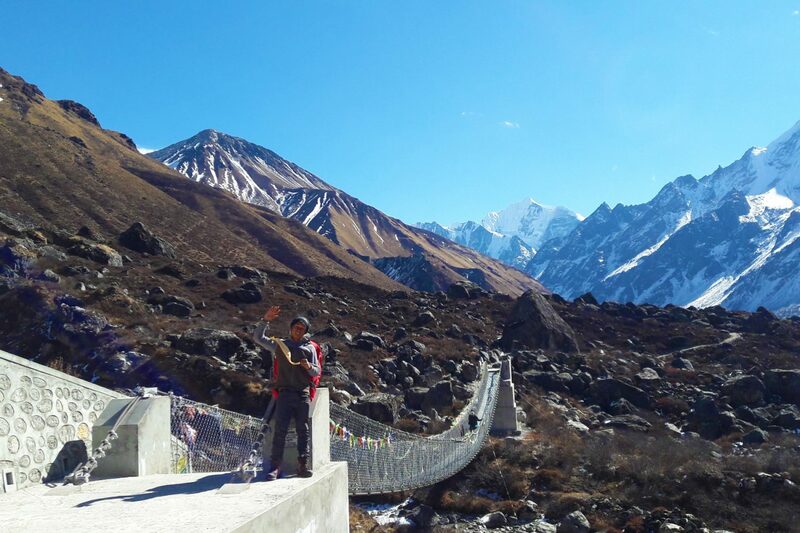 Next, we climb up Kyanjing-Ri a vantage point with stunning views of Langtang-Lirung mountains above and green forests below! On the coming days we will trek back Lama Hotel and climb to Gosainkunda via Sing Gompa, On the way to Gosainkunda you will see the stuning views of Annnapurna range, Manaslu range, Ganesh himal range and langtang range. After all coming back to Sing Gompa and you will finish you trek at Dhunche, from where you will get your private vehicle to Kathmandu. This trip is a series of excitement one after the other because each destination is more inviting than the previous one. Book this trip with Discovery Mountain for a memorable trip to the beautiful Langtang region of Nepal. After your arrival at Kathmandu International Airport, we will pick you up and transfer you to the hotel. You can stroll around Thamel or your hotel area, and prepare for the trek ahead. After breakfast, begin a drive from your hotel headed to Syabrubesi. It’s a seven to eight hour drive taking you through hilly paths and also along the banks of Trishuli River before you reach Syabrubesi. Stay overnight at Syabrubesi. Syabrubesi is the starting point of your trek into Langtang National Park. You begin the journey after breakfast, immediately coming to the Bhotekoshi River and bamboo forests. This is where you might come across the red panda, a species of panda native to this region. 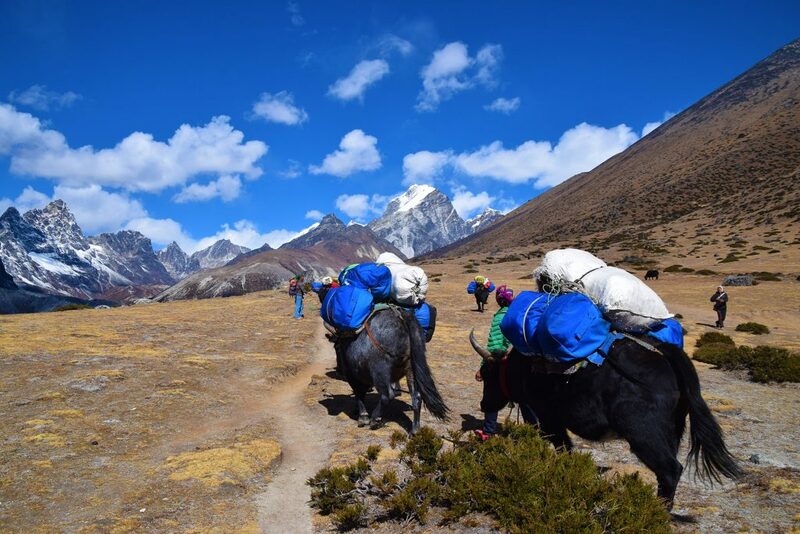 From there we do a brief stop and trek along the ascending trail until we arrive at the secluded Lama Hotel located at 2,370 meters. Today our destination is to reach Langtang Village. It’s a normal paced walk of around six hours with brief rests along the way. The route today is a gradual uphill climb lined with waterfalls, rhododendron forests, maple trees, and also the poisonous hemlock bushes. Once past Ghoda Tabela, we can have excellent views of the Langtang-Lirung range and a glacier too. Still ascending, we pass through sparse settlements and a monastery before arriving at Langtang Village. Compared to regular days of trek in Nepal, it’s a fairly short trek today. In a hastened pace, we can cover the distance to Kyanjin Gompa in around four hours but at a normal pace it’s around five hours. Today is a special day in Langtang as you will visit a medieval monastery and also sample some yak cheese in the cheese factory. In addition, today you will come across the largest mani wall (distinct stone wall with prayer inscriptions) in the country. Kyanjin Gompa is located at 3,870 meters, where you will stay overnight. Today we will return to Lama Hotel retracing the same route we took a couple of days ago. After breakfast, we start walking along the descending trek. The stops are aplenty today, providing us with lots of chances for photography along this scenic route. Arriving at Lama Hotel, we unpack an enjoy the evening resting in the quiet locale. It is a short trek today to Sing Gompa. While it is possible to reach Gosainkunda at 4,445 meters on this very day, we avoid the risk of getting up to the high altitude, and let our bodies acclimatize as we gradually move higher on the next day. The total walking duration is less than four hours today, which we do at a leisurely pace – first passing through a chorten, then the village of Garta before arriving at Shin Gompa for the overnight stay. Today it’s a relatively difficult section of the trek as we will be reaching Lake Gosainkunda through steep ascents and sharp ridges. 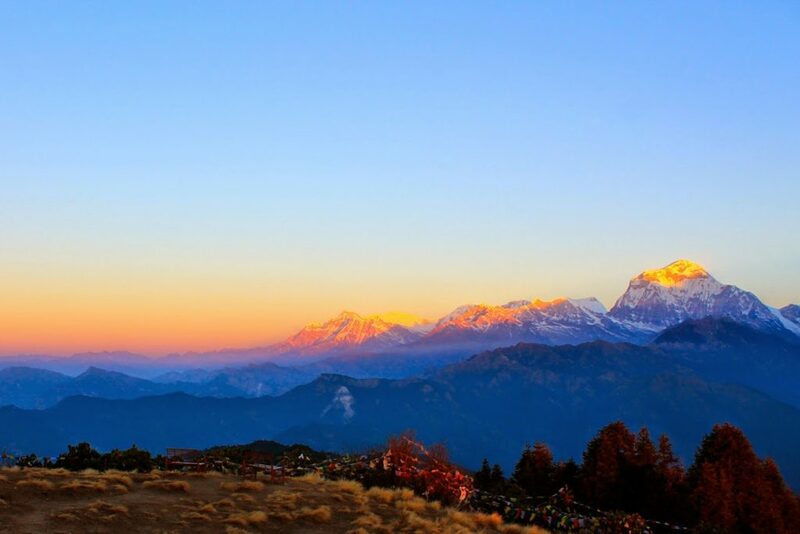 On the brighter side, the trek is completely full of wonderful views of high-altitude lakes and white peaks of the Himalayan Range including Annapurna, Langtang, and Manaslu ranges. Upon reaching Lake Gosainkunda, you will immediately appreciate how enchanting nature can be – particularly when you’re beside a huge lake surrounded by mountains everywhere. After breakfast we enjoy with the holy lakes Gosaikunda and trek back to sing gompa with extraordinary view of the Himalayas. After 45 minutes walk up and down we reach on the pass, and we trek down from the pass to cholang patti then we walk into the jungle up to Sing Gompa. The last day walk of this wonderful trip ends today, starting this morning walk with a long descend through beautiful rhododendron and pine forest along the walk with fabulous views of surrounding landscapes and mountains, the walk carry’s on with the downhill for about three hours, then reaching the bottom near by the river after crossing the bridge, reaching the motor able road after being in the trekking trail for a week, the good road winds up for an hour all the way to the large town at Dhunche for overnight stop, the last day in the mid hills of high Langtang Himalaya. Morning after breakfast, an interesting drive back to Kathmandu the journey continues with great views and scenery of the Himalayan landscapes, rolling hills and valleys, then passing through numerous villages and towns on the downhill drive to Kathmandu. After an interesting journey of more than six hours reaching Kathmandu, after a great memorable time up in the mountains transfer to the hotels. After breakfast, we will take you on a sightseeing tour of some iconic places in the Kathmandu Valley, that will essentially include UNESCO World Heritage sites. In the evening, you are invited to join us for a farewell dinner. 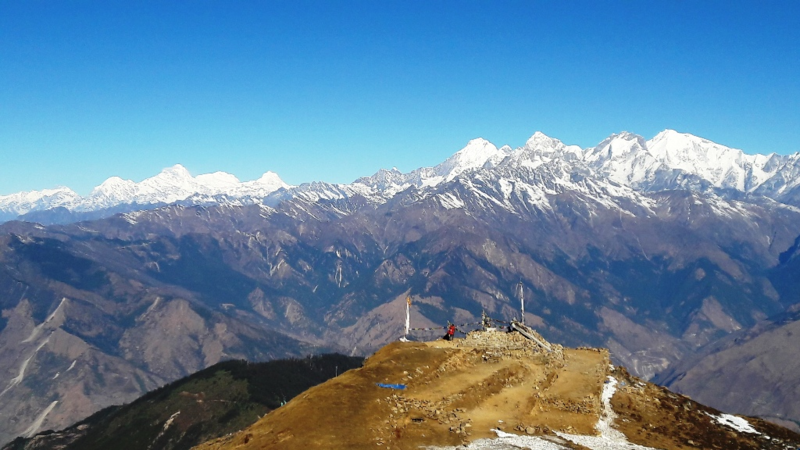 The langtang gosaikunda trek offers spectacular landscapes and panoramas, a change of scenery and absolute tranquility, with access to authentic places, with smiling and welcoming villagers. I am very grateful for this experience that makes me want to come back to explore other Himalayan regions. I totally trust my guide Chhiri and I highly recommend his agency Thank you and good luck, Chhiri!